The bradford press is a supplementary exercise that really fire up the delts and rotatpr cuffs. 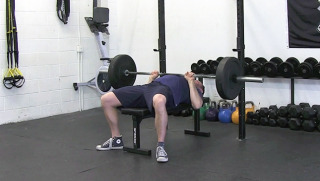 This is a great exercise to do after bench press or shoulder press. 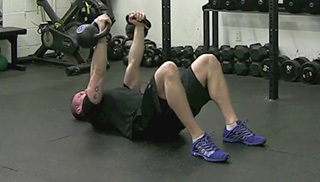 The double kettlebell floor press is an upper body strength exercise that targets the chest, shoulders and arms. This is a great exercise to do after bench press or shoulder press. 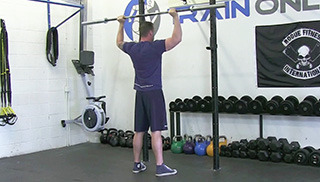 The standing shoulder press is an upper body exercise that targets the shoulder and arms. The close grip bench is an upper body strength exercise that targets the triceps, chest and shoulders. 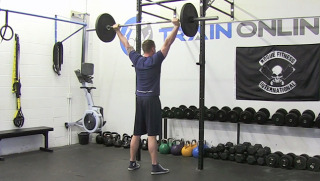 The behind the neck shoulder press is a challenging upper body strength exercise that targets the shoulders and requires proper shoulder mobility. The Bosu stability ball push-up is an advanced level exercise that targets the shoulders, arms, chest and core. The elevated Bosu push-up is a challenging upper body strength exercise that targets the chest, shoulders and arms. The dumbbell push press is a beginner level upper body strength exercise that targets the shoulders and triceps. The dumbbell floor press is an upper body strength exercise that targets the chest, shoulders and arms. The single side dumbbell chest press is a beginner level upper body exercise that target the chest, shoulders and triceps. The kneeling dumbbell shoulder press is a beginner level upper body strength exercise. The bench plank to push-up is a beginner level upper body strength exercise that targets the shoulders, arms and core. 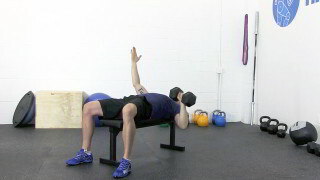 The single arm dumbbell shoulder press is a beginner level upper body strength exercise. 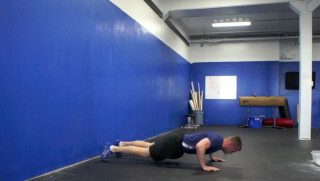 The wall walk is a challenging upper body exercise that targets the shoulders, triceps and core. This exercise is suitable for intermediate to advanced fitness levels. The dumbbell skull crusher is an upper body strength exercise that targets the triceps. This exercise is suitable for all fitness levels. © 2005 - 2019 Train With Me Fitness Inc., All Rights Reserved.